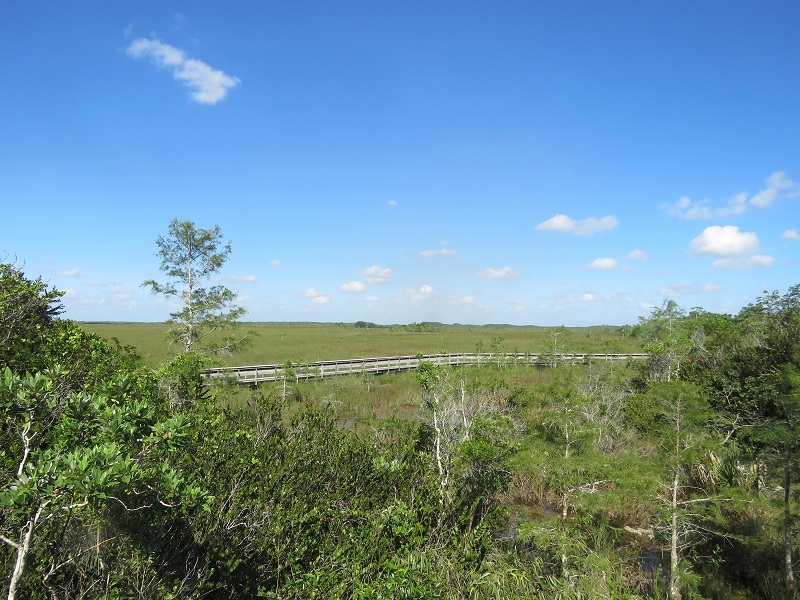 The Pa-Hay-Okee Trail and Overlook Platform provides an impressive and easily accessible view of the river of grass at Everglades National Park. 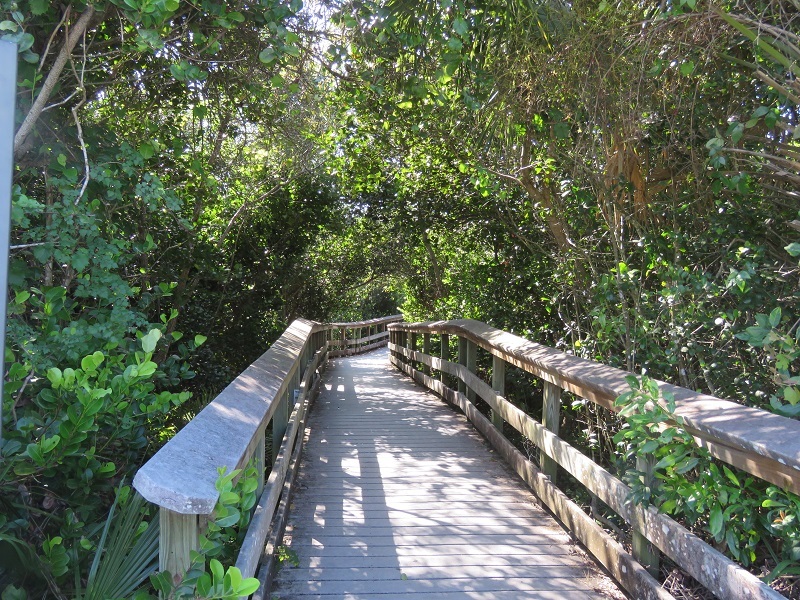 It is a short boardwalk of less than a 1/4 mile roundtrip (.16 miles according to the national park website). 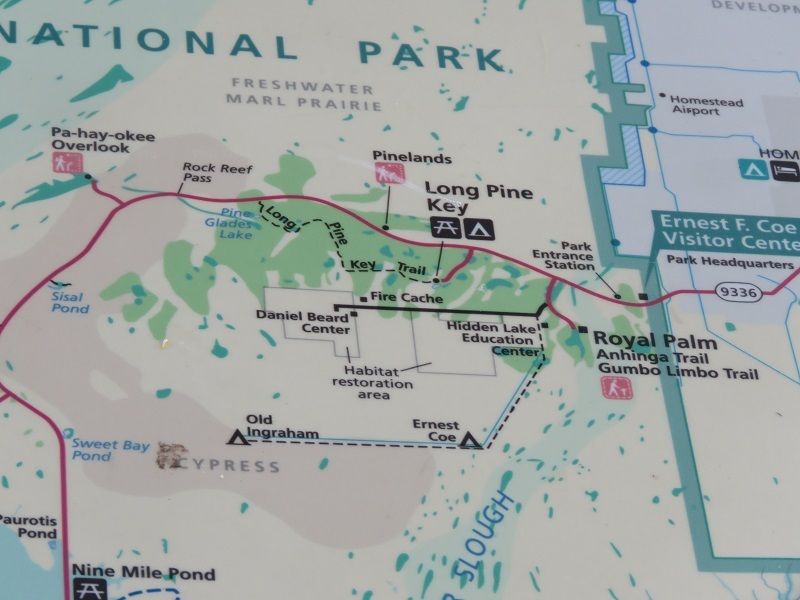 There is a parking area that provides access to the trailhead. The trail is a loop with both parking lot entrances going to the platform. The left entrance provides wheelchair friendly access to the platform. The entrance on the right is not handicap accessible to the platform. There are stairs between the platform and this portion of the trail. The boardwalk loop turns back at at the overlook platform. 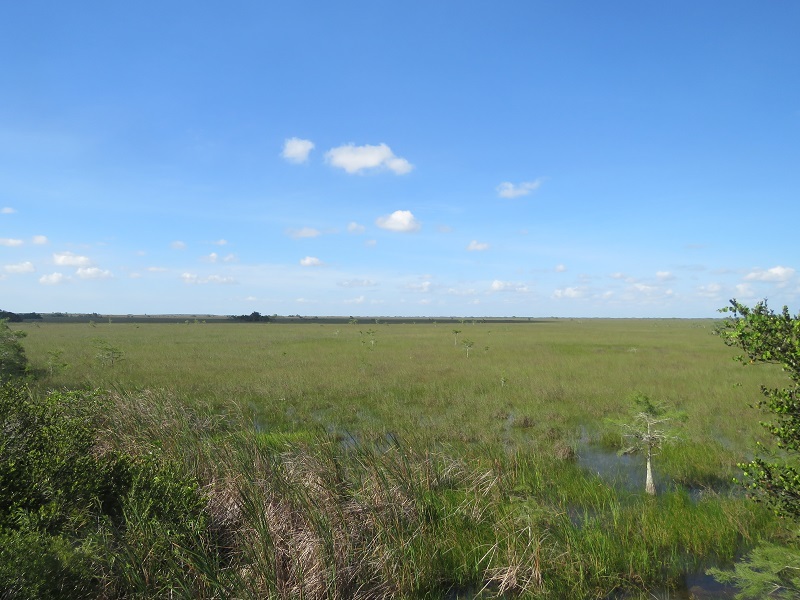 It provides a great view of Everglades National Park to the north of the trail. There are also a few benches there so you can rest and take in the view. 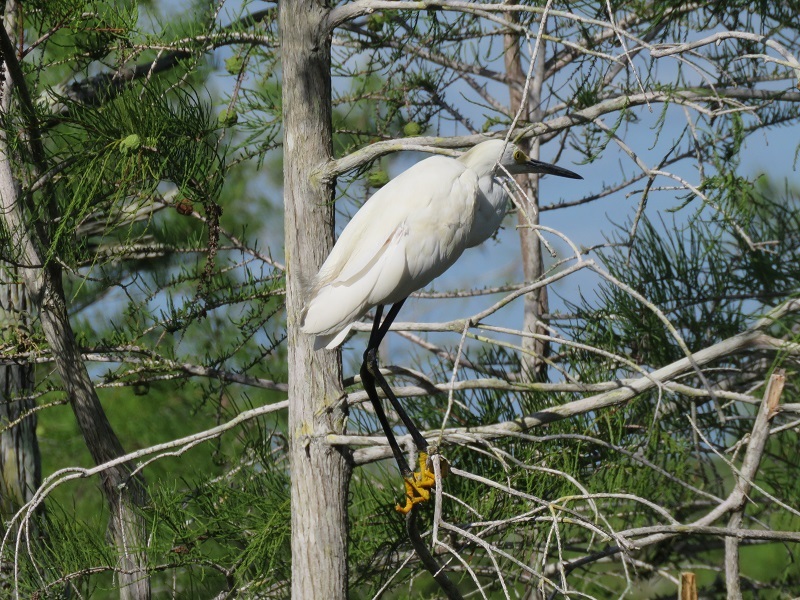 While we were at the platform, we saw a number of egrets in the distance as well as a large hawk sitting in a tree. 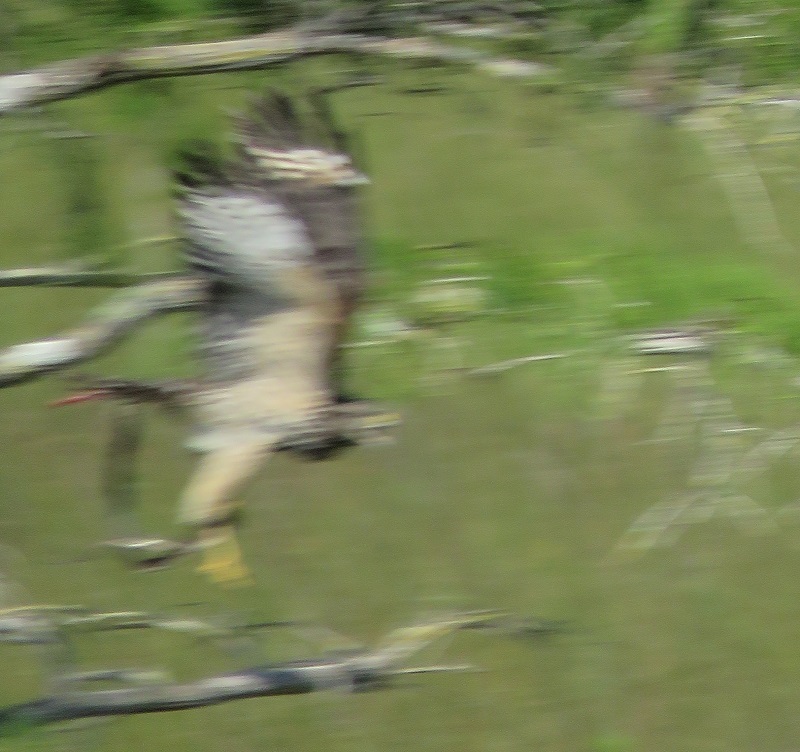 The hawk took off while we were there and it was quite a sight to see. It had an impressive wingspan. Unfortunately, the photo that I took ended up blurry since I wasn’t quite ready when it took off and we were using the telephoto lens due to the distance. 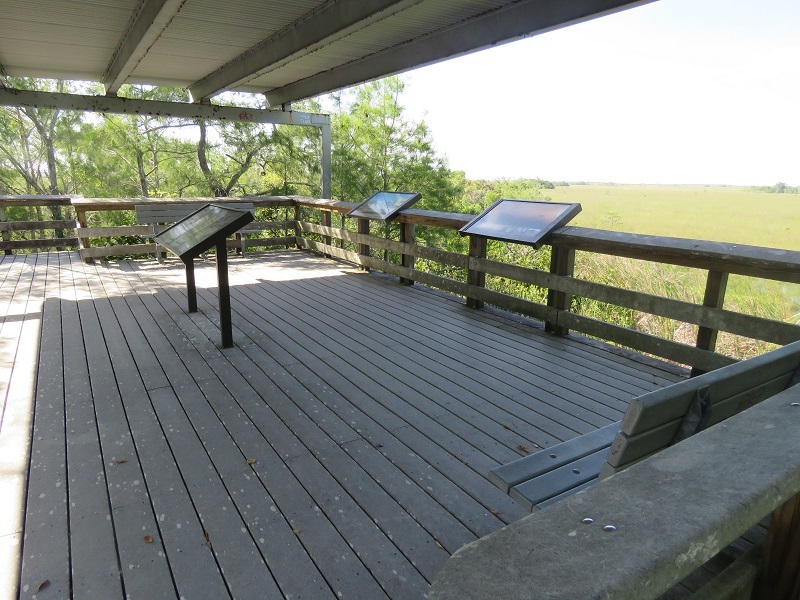 If you don’t have an opportunity to get to the Shark Valley tower, the Pa-Hay-Okee Overlook is a good alternative along the main road of the park between the southern entrance and Flamingo.